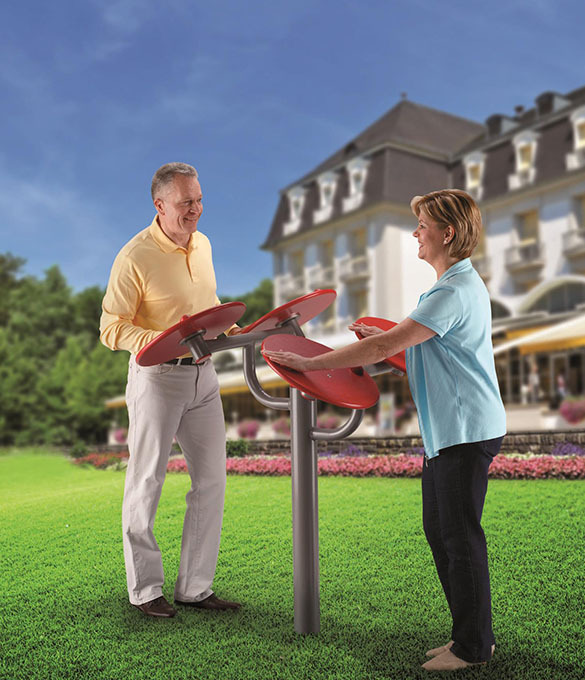 Erlau Vitagym outdoor fitness equipment is designed especially for public open spaces, hospital grounds, care facilities, hotels and recreation venues. 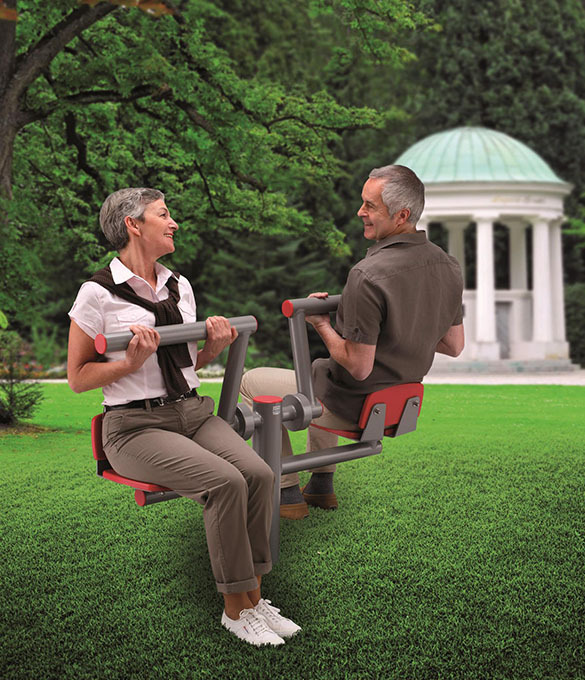 It can be used by adults of all ages to maintain and improve their vitality and zest for life, motivating people to exercise and encouraging them to socialise. 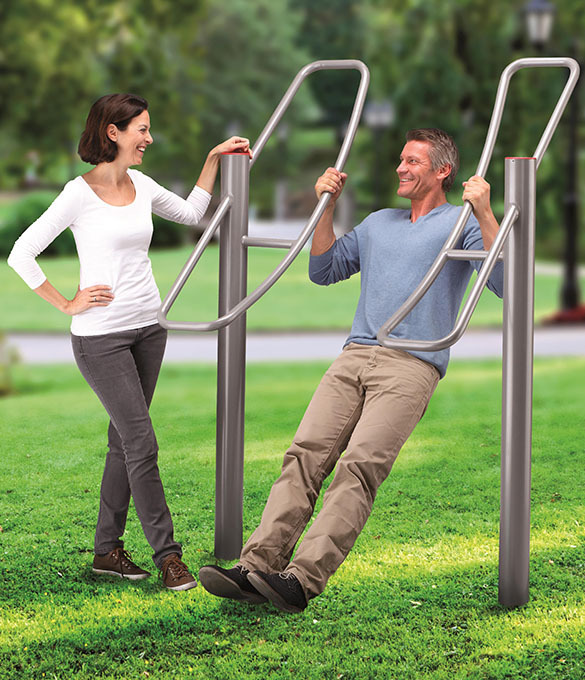 The range of products available includes StepGym, BackGym, Double TrackGym, TrackGym, TwistGym, PedalGym, RotoGym, MobiGym, StretchGym, MotoGym and VitaPlay elements. Special equipment is also available for wheelchair users. 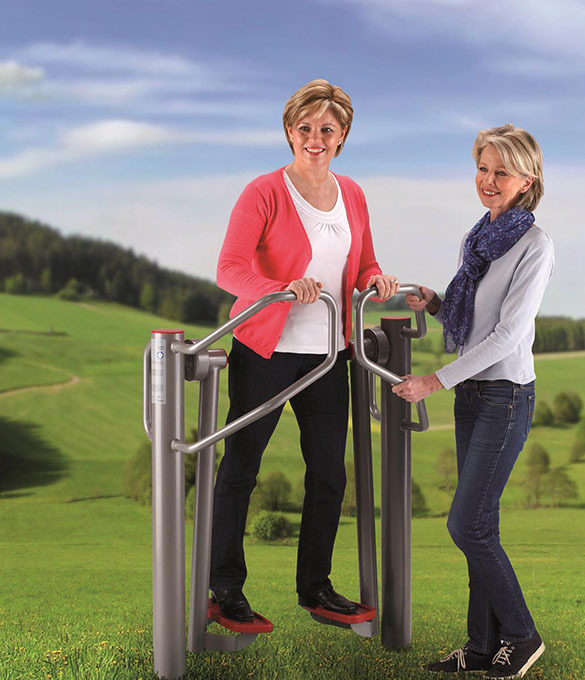 Erlau Vitagym equipment is easy to install and use, is maintenance free, vandal-resistant and very durable, with reinforced bearings and dampened brake bearings. Metal parts are made from high strength tubular steel, which is corrosion-free thanks to hot dip galvanising, and is powder coated in RAL 9007 Grey Aluminium. Plastic parts are made from UV stabilised, solid polyethylene 500 in RAL 3000 Flame Red.